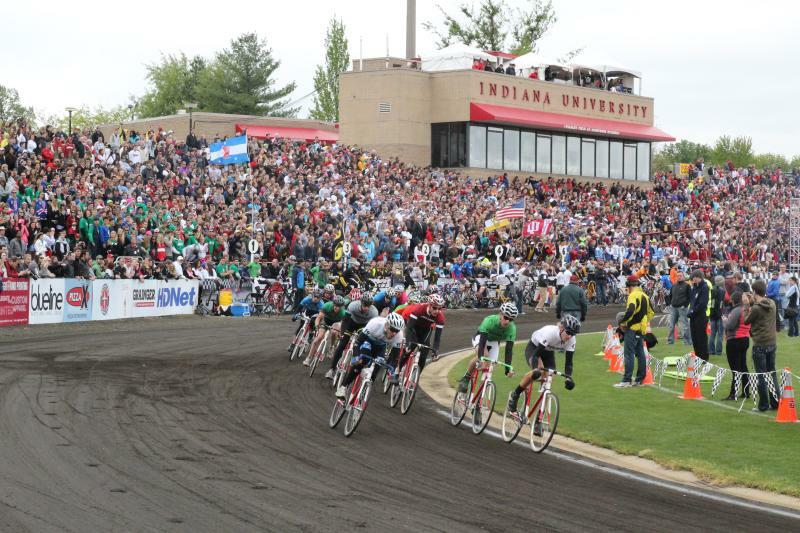 Across the country, The Little 500 is known for being one of the greatest college weekends. 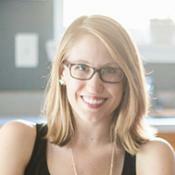 There’s no denying that it’s wild and fun, but the event is so much more than a big party. The races are exciting and filled with history and tradition, the downtown is lively and vibrant, the flowers on campus are beautifully blooming, and the weather is (hopefully) perfect. Whether you’re a curious visitor, an IU Alum, or a Bloomington local, you can experience this famous weekend to its fullest without having to pretend you’re 21 years old again (unless you want to, which is totally cool with us). We’ve put together a Little 500 Weekend itinerary ideal for a visitor, with a chance to experience the bike races, downtown culinary scene, and a healthy dose of nightlife, all within walking distance of your hotel. Before you visit, watch the 1979 movie Breaking Away. 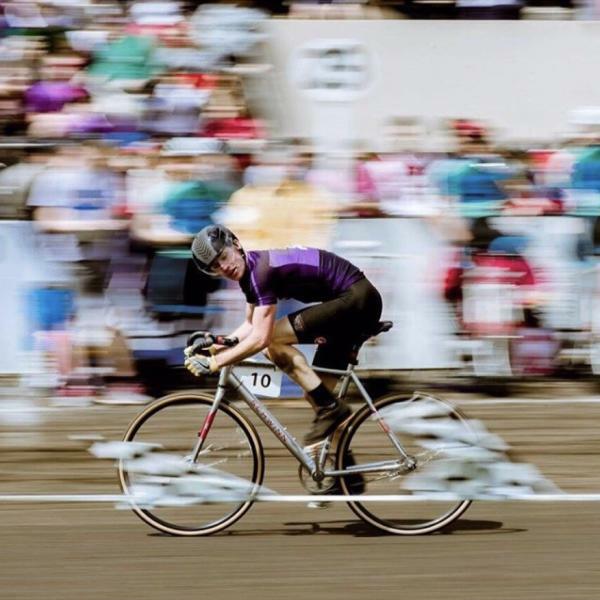 The story of working-class friends coming together to compete in the Little 500 will get you hyped up for the races, and make you want to buy a “Cutters” t-shirt. Afternoon: The big weekend kicks off with the Women’s 32nd Running of the Little 500, starting at 4 pm at Bill Armstrong Stadium. Buy your ticket in advance for $35, or at the gate for $45. One ticket is good for both the women’s and men’s races. The race traditionally opens with an a cappella version of Back Home Again in Indiana, which will give you goosebumps whether or not you’re a Hoosier. The women’s race is fast and exciting, with a mixture of independent teams and sorority teams funneling their months of hard training into an adrenaline-pumping, nail-biting competition. Pick a team to cheer for, or just bask in the experience. There are plenty of local food vendors and carts to stay fueled while you watch. You won’t want to take your eyes off the track, but make sure you stay until the end. 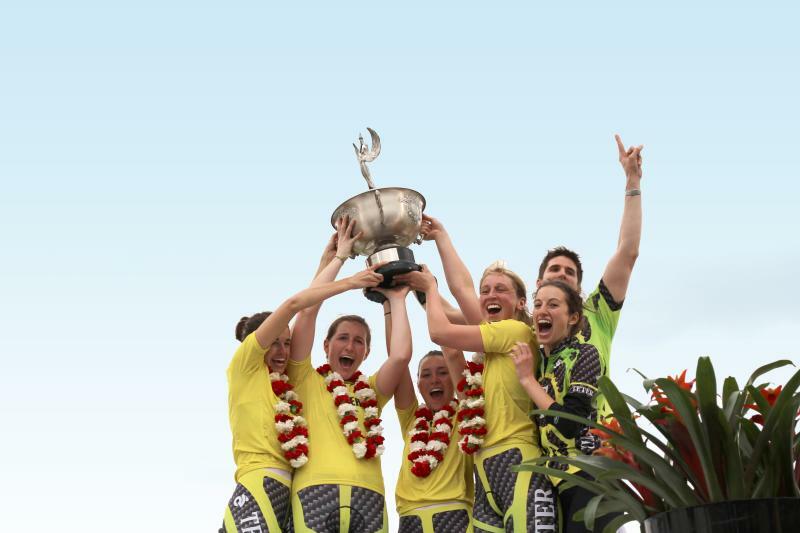 The trophy is presented immediately afterward, and the winners take a victory lap on their bikes. After seeing how grueling this race is, you’ll want to give them a standing ovation. 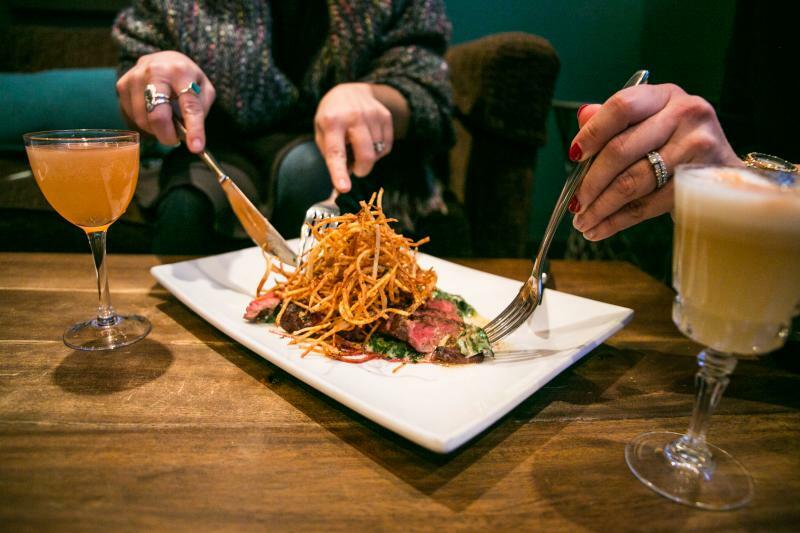 Evening: Lower your blood pressure after the race with a relaxing dinner downtown. If you’re feeling upscale, try C3 Bloomington for innovative cuisine and hand-crafted cocktails. 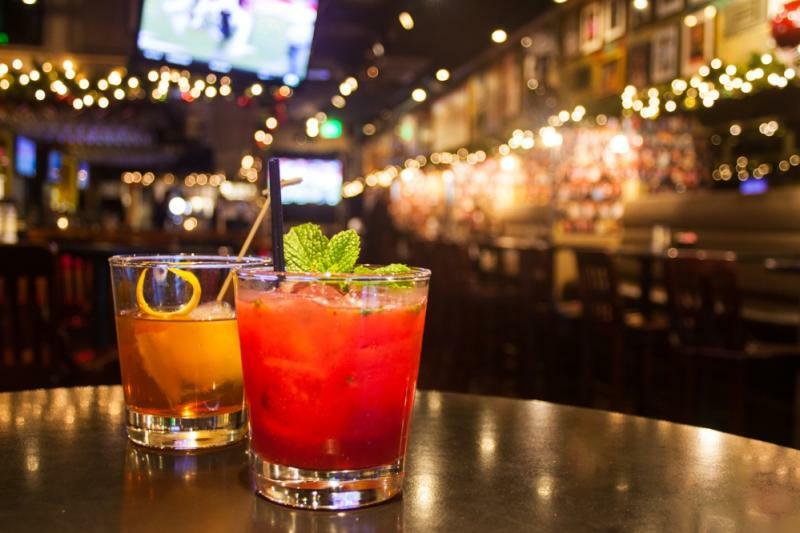 For a more casual atmosphere, head over to King Dough for gourmet wood-fired pizzas or the Irish Lion for traditional Irish dishes and classic pub fare in a historic setting. Late Evening: Saturday will be a big day, so have a laid-back nightcap at Uptown Cafe or Malibu Grill. With a mixture of classic cocktails and modern creations, along with expertly-curated wine lists, you’re bound to find a new favorite drink. Overnight: Downtown will be busy late into the night. 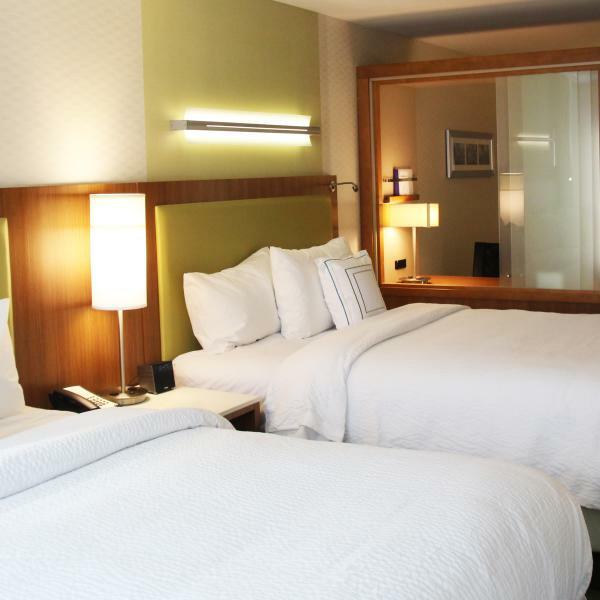 If you like being in the thick of things, book a room at the Hyatt Place, where you’re only a few steps from the best spots. Graduate Bloomington, a new boutique hotel, is located on Kirkwood Ave and puts you within inches of restaurants and bars. For a quieter atmosphere that’s still within walking distance, check out the unique rooms at the Grant Street Inn or Showers Inn, set slightly further from the main downtown area. For more options and amenities, check out all of Bloomington&apos;s accommodations. Morning: Get a solid start to a busy day with a walk (or rent an electric bike from Pedego if you&apos;re in a hurry) on the B-Line Trail and breakfast. Head south on the trail towards Hopscotch Coffee, where you can grab some locally-roasted coffee and a vegan donut made by Rainbow Bakery. Or if you’re looking to start the party early, head across the street to Cardinal Spirits for boozy brunch and pastries, or walk one block over to the Bedräk Cafe, Bloomington&apos;s newest "brunchette" and juicery. If sleeping in is more your style, roll out of bed and take a quick walk over to Soma for great coffee drinks, juices, and a cookie or two. 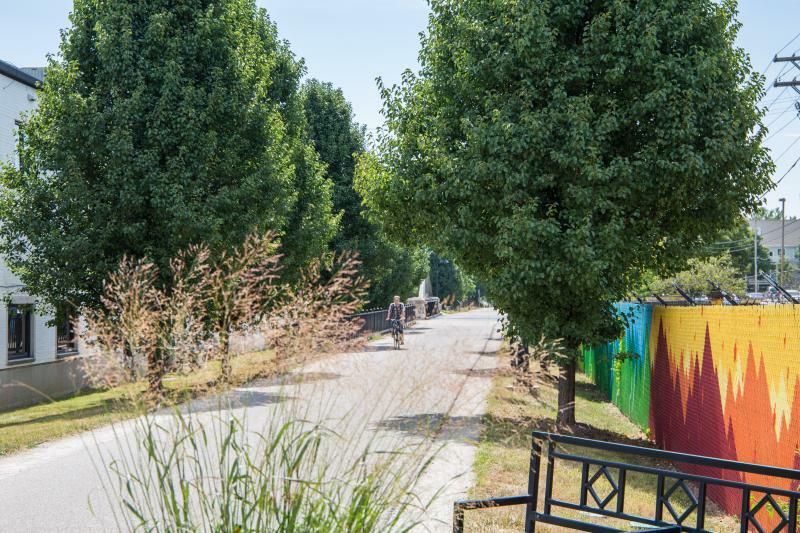 Afterward, walk north on the B-Line Trail towards the Farmers’ Market, where you can buy locally-grown fresh produce, flowers, coffee, popcorn, cheese, and more. If you’re hungry for second breakfast, try a crepe from Le Petit Café served out of the window across from the market, or try out the Hangover Special from Bloomington Bagel Company. Spend the rest of your time before lunch browsing the unique shops downtown. Stop by the Bicycle Garage or Salt Creek Cycles, because chances are you’ll be pretty inspired to take up biking. Lunch: Fuel up for cheering during the men’s race with a quick lunch downtown. 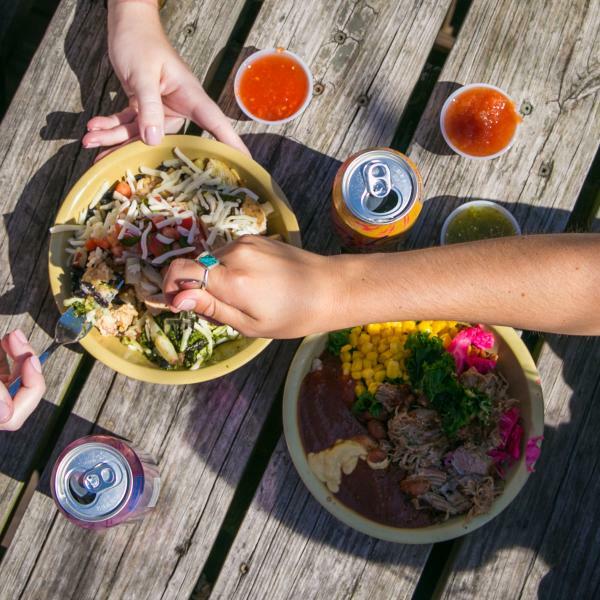 Stop by the Laughing Planet for burritos, quesadillas, and salads made with locally-sourced, organic ingredients for vegans and omnivores alike (bonus thematic points for the bike hanging on the wall of the cafe). If you’d like to expand your palate, head one block over and sample every dish in Taste of India’s phenomenal lunch buffet. Grab pizza by the slice at Wheel Pizza, perfect for Little 500 weekend with its cycling-dominated decor. Afternoon: The 69th Running of the Men’s Little 500 starts at 2pm. Make sure you get there a little bit early to find a seat in the stands, since it is typically busier (and a little rowdier) than the women’s race. Cheer on your favorite fraternity, underdog, or independent riders. Keep an eye out for the notoriously speedy Cutters team, formed after the release of Breaking Away. Take in every moment, from the pace lap modeled after the Indy 500, to the mass of neon-clad students screaming support for their friends, to the mud-splattered riders hoisting their winning bike in the air. The electricity and atmosphere generated by the race alone is enough to justify the “World’s Greatest College Weekend” title that has long been associated with Little Five. Evening: After the excitement of the men’s race, take a break for dinner downtown. Leave the domestic beers to the students, and experience Bloomington’s hopping craft beer scene. Enjoy some great local brews and food right off the courthouse square at Function Brewing or The Tap. 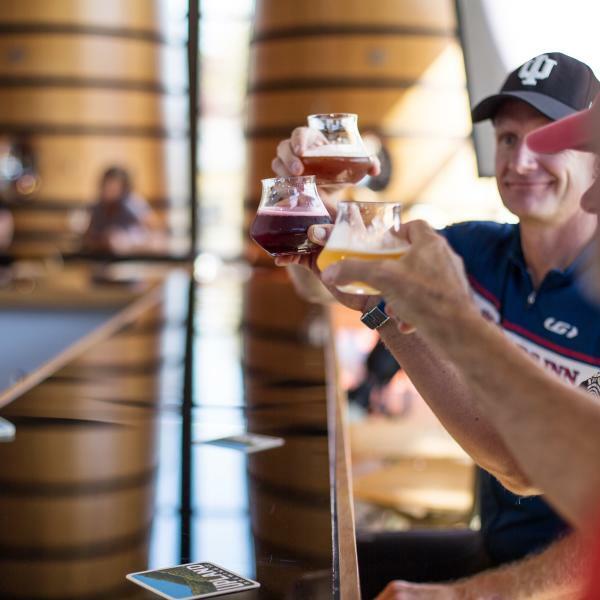 If the weather is nice, stroll north on the B-Line Trail to the Upland Brewpub, a favorite of both locals and visitors, with a pit stop at the Wood Shop to try their sour beers. Grab an Upland bike jersey while you&apos;re there, and rep your favorite brewery on your next ride. Late Evening: Saturday night after the men’s race is always the biggest party night. You can relive the glory days at Kilroy’s on Kirkwood, or head east of the downtown to enjoy a fun, but calmer night with a 10-Speed Hoppy Wheat Beer at the Bloomington Brewing Company (inside Lennie&apos;s Restaurant). We’d recommend somewhere in the middle. 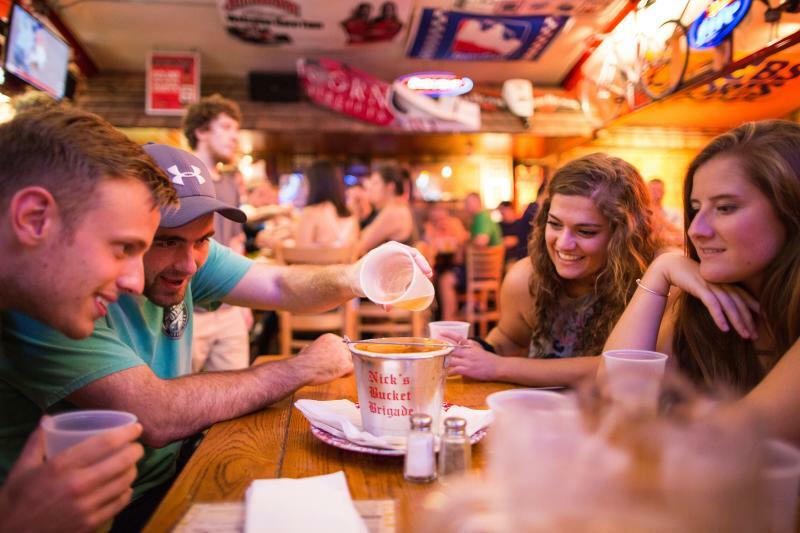 Hang out with other IU Alumni and play Sink the Biz at Nick’s English Hut, or enjoy your drinks on the Crazy Horse patio for some quality people-watching. For an evening with a little bit of competition, challenge your friends to pool and darts at the Video Saloon, skeeball at the Atlas Ballroom, or some classic arcade games at The Cade. Then dance your way to closing time at The Back Door or The Bluebird. Morning: Before you head out of town, grab a re-energizing brunch and great coffee with unlimited refills. 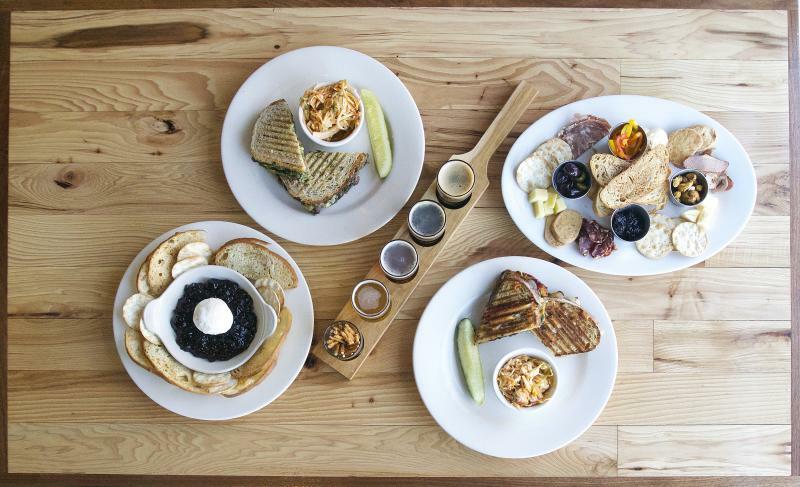 The Inkwell, Village Deli, and Runcible Spoon will bring you back to life with their fabulous breakfast creations. 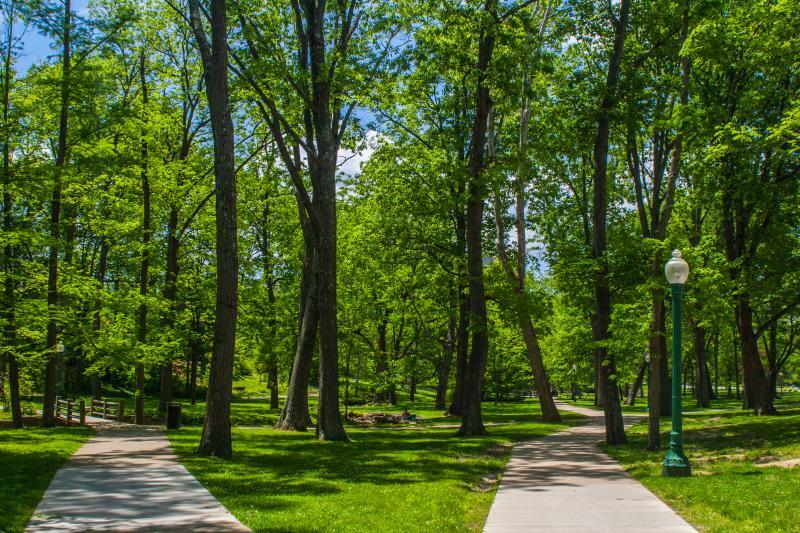 Afterward, take a walk beneath the towering trees on IU’s beautiful campus, and plan next year’s Little 500 trip.